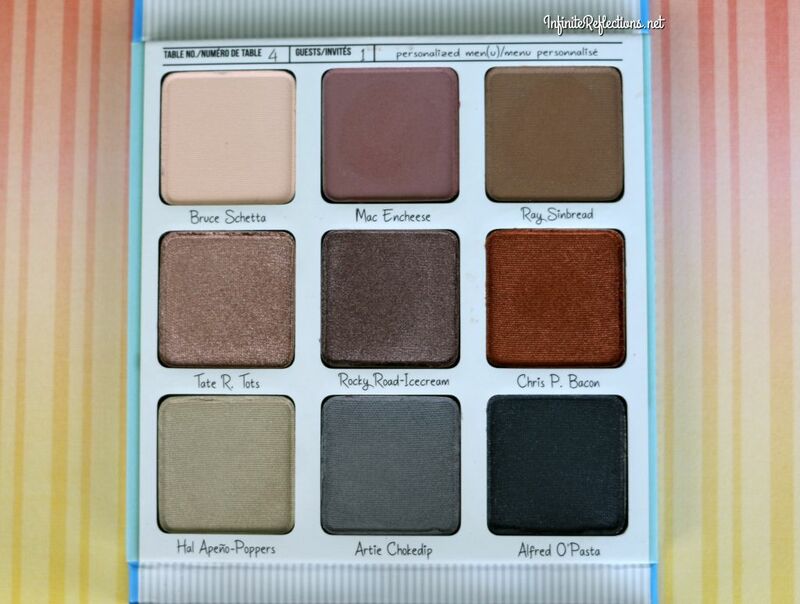 I have always wanted to try a theBalm Cosmetic eyeshadow palette as they are highly raved for their quality. 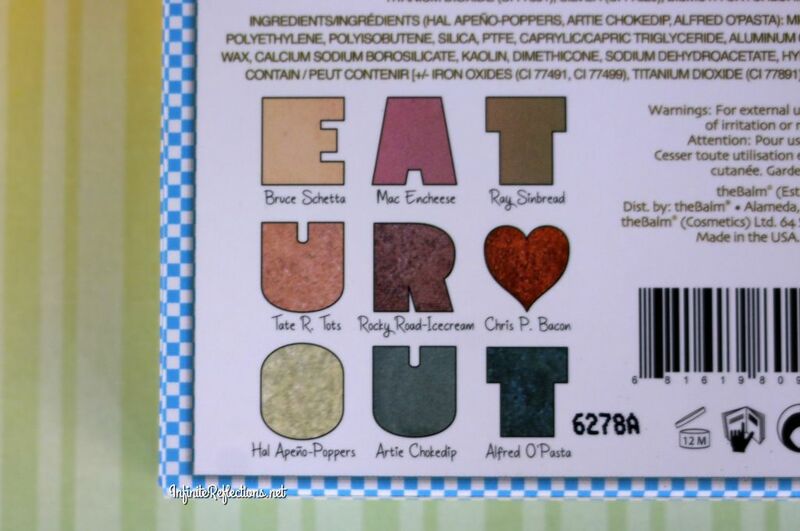 So, I decided to try out their newest palette called theBalm Appetit Palette. 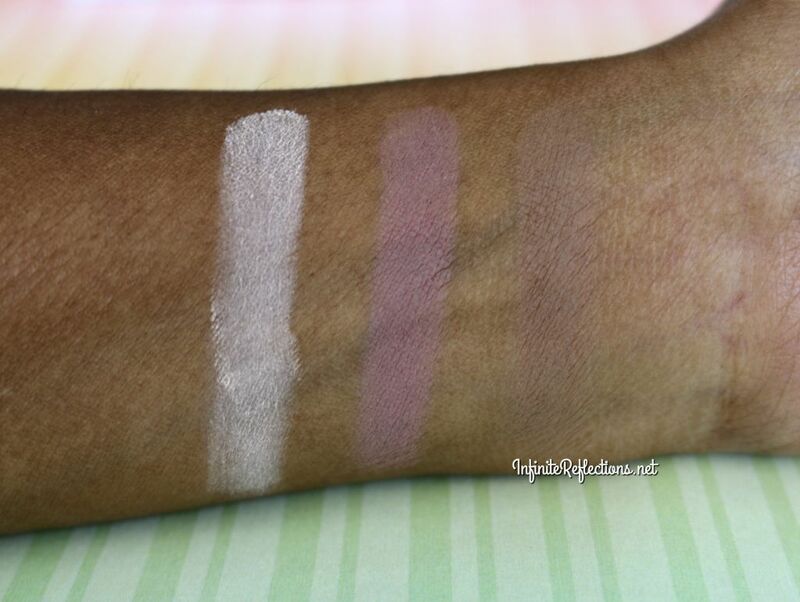 I was drawn to this cute little palette because of the shades and the cutest packaging. I think theBalm cosmetics have outdone themselves with the packaging of this palette. The theme of this palette revolves around food and all the shadows are also cutely named after menu items. 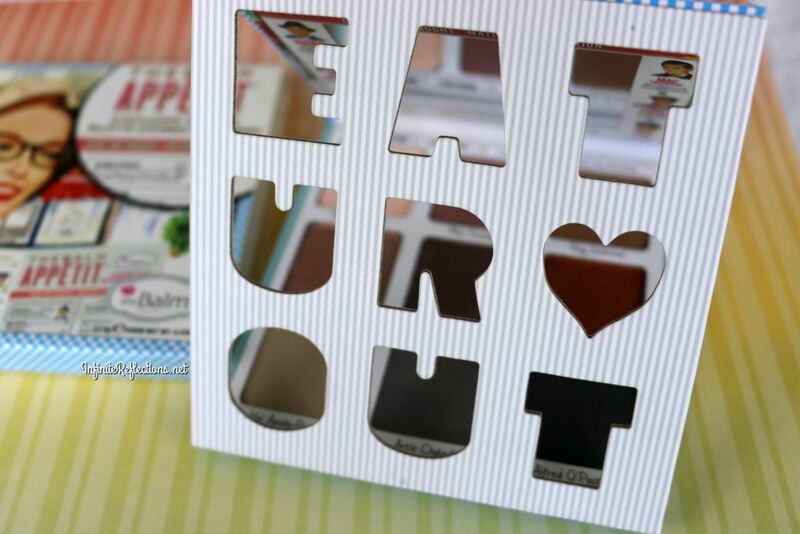 The actual palette is a sturdy cardboard packaging and the coolest feature of this palette is the alphabet flap which reads “Eat Your Heart Out”, which is so cute. When you open the flap you have the 9 pans of shadows. Notice the cute shadow names. 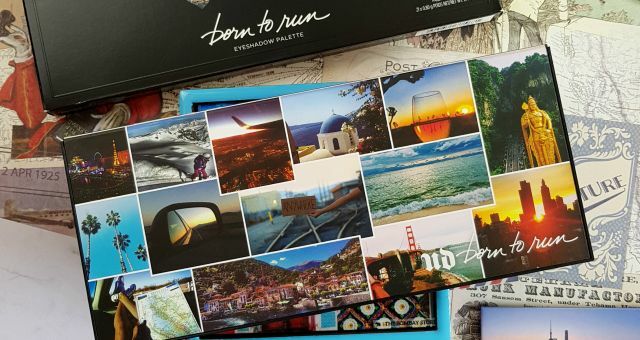 The palette also has a nice sized mirror and is very travel friendly because of it’s compact size. 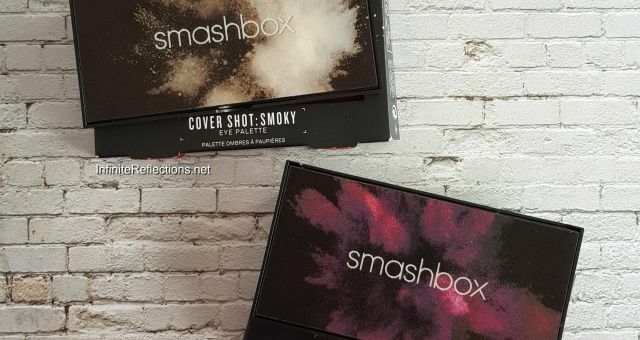 This palette has 9 beautiful shadows with 3 matte, 3 shimmery or metallic and 3 satin finishes. 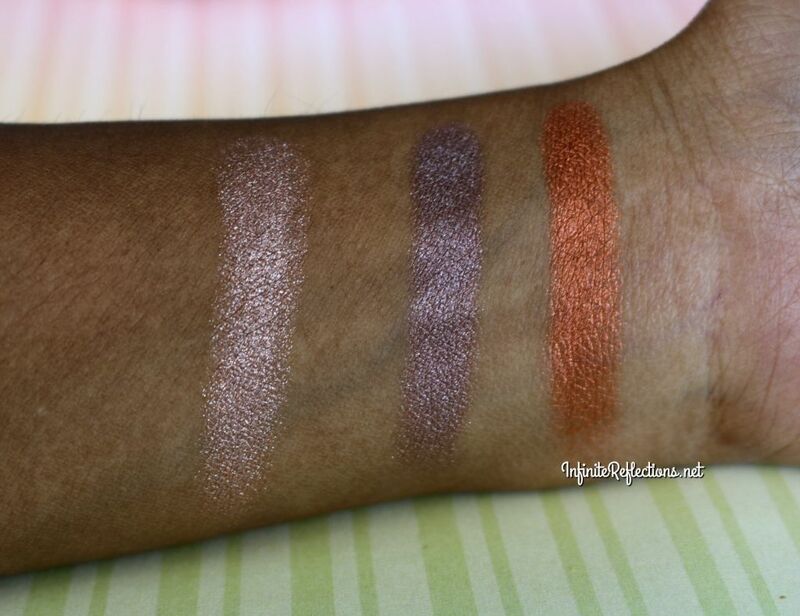 Most of the shadows are pigmented well specially the shimmers are very nicely pigmented. They blend quite nicely. 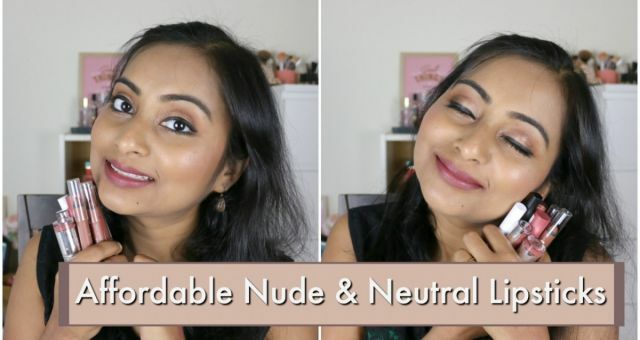 For full review on the palette, do watch the YouTube video below. My only issue with this palette is I do have to struggle a little bit to come up with a lot of looks. If I blend too many shadows together then the look kind of turns out muddy and chalky. So, you do have to decide on the looks a little carefully. 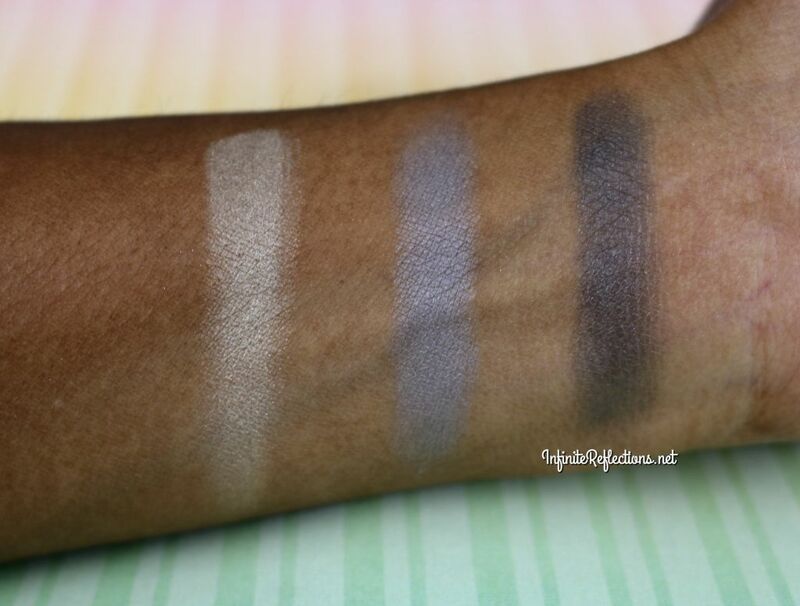 Here are the swatches of all the shadows on my skin tone. Watch me on YouTube for full review. I hope this review was helpful. 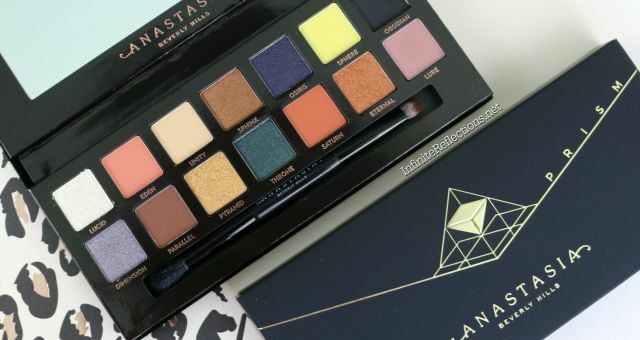 Do let me know what you feel about this palette if you have used this.